Marie O’Connor was the first woman to make partner at PwC Ireland, where she has worked for over 40 years. There, she led the PwC Asset Management and Financial Services Practice for many years and was a member of the global leadership team of PwC’s AM practice. Marie obtained a diploma in business studies from the Dublin Institute of Technology, is a certified accountant, and a barrister at law. The Irish government has appointed Marie as a member of several boards over the years, including to Dublin Airport Authority and IDA Ireland. As the leader of the 30% Club in Ireland, part of a global group of CEO’s and chairs committed to accelerating gender balance in their organizations, she is also active in encouraging and promoting women and their careers. Marie also enjoys walking, going to the theater, and spending valuable time with her four children, Cliodhnagh, Sinead, Daire, and Fionnghuala. 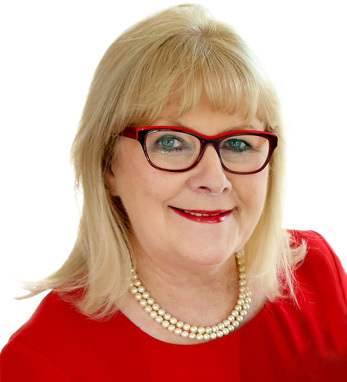 She is an advisory board member of the Irish Chapter of the Ireland US Council, and will receive their Lifetime Achievement Award on June 24, 2016.